Antena Group announces a new executive structure effective as of today, May 16th 2016. 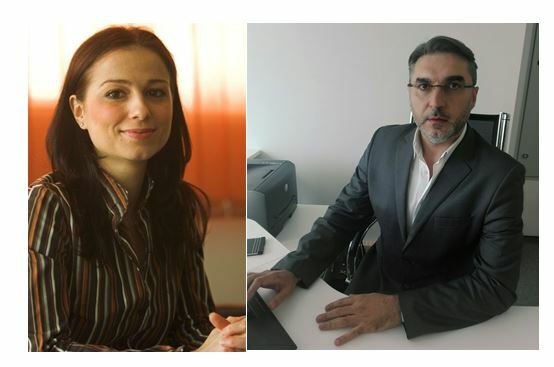 Isabella Carmu, Channel Manager Antena 1, is the new General Manager of the company, while Cristian Ionescu, Channel Manager Antena Stars, is Deputy General Manager. The two executives will coordinate the entire operational activity of Antena Group’s family of channels (including Antena1, Antena Stars, Happy Channel, ZU TV) as well as the online platforms under this umbrella. “Isabella and Cristian have a good knowledge of the organization, having grown up with this business. Antena Group has a very efficient management system and I am convinced that the entire team knows what to do in order to offer the best results to our audience and partners. As for myself, I fully support my colleagues and will concentrate, in the following period, on the appeal against the recent court ruling, in order to prove my innocence., said Sorin Alexandrescu. Isabella Carmu has been with Intact for almost 19 years, starting her career in Antena 1’s programming department. She was Acquisition Director for a long period of time before becoming Antena 1’s Channel manager in 2012. Cristian Ionescu also has a long history within the group. In over 20 years here, he evolved from being a reporter for Antena 1’s main news bulletins to editor in chief. In 2004 he became the manager of the group’s local stations network and as of 2008 he has been coordinating the production team for the successful access and late night shows on Antena 1 (Access Direct and Un show pacatos). In 2013 he re-launched Antena Stars channel and started spynews.ro, one of the most popular celebrity platforms. Antena Group includes in its portfolio the family of channels Antena 1 ( entertainment), Antena Stars( celebrity), Happy Channel (women) ZU TV (millennials), as well as digital operations. On a national level, the group’s average reach in the first quarter of 2016 amounted to 9.684.000 viewers over the whole day. On the other hand, Digital Antena Group had 50 million views and 9 million unique users in April.